Why have just one buttercream flavor when you can try so many more. 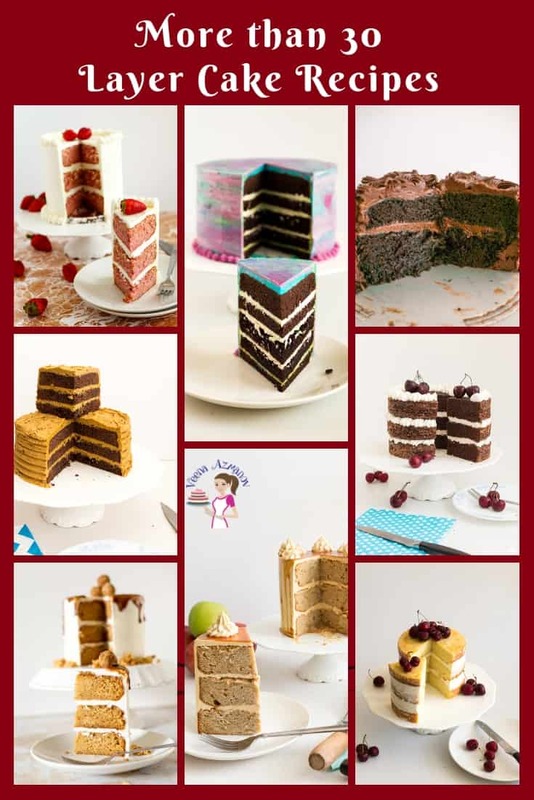 These simple, easy and effortless variations to create different buttercream flavors from one recipe will open new and wonderful possibilities for your cake projects. 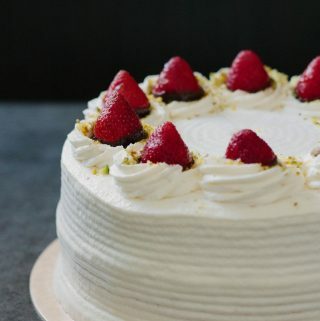 From strawberry to caramel, marzipan or Kahlua, you can use a basic American buttercream, meringue-based buttercream. 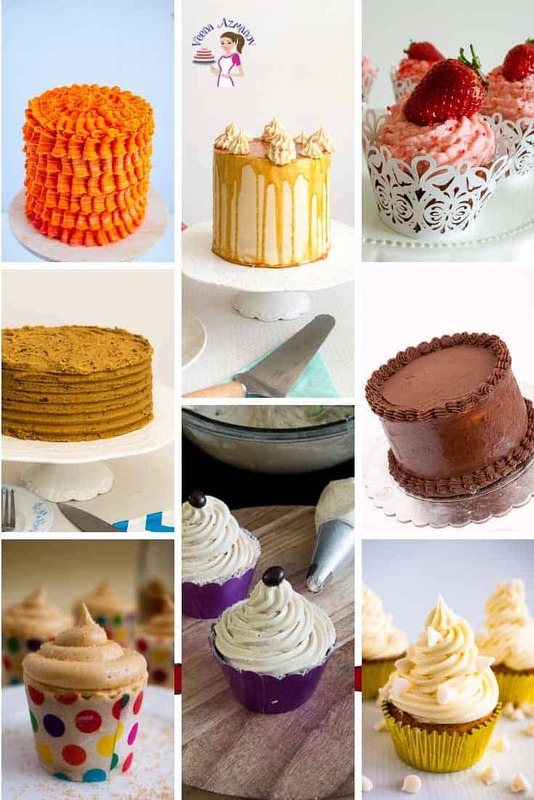 How many buttercream flavors have you tried? I bet many!! 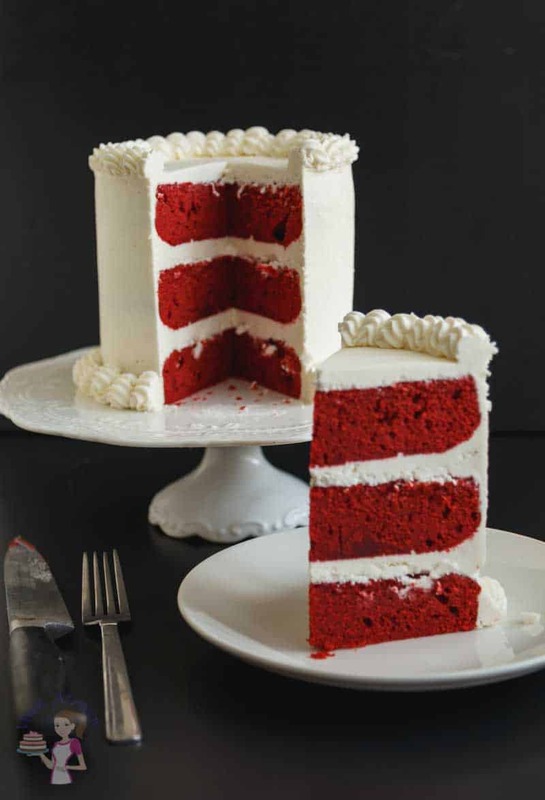 And yet, did you know that you can make one basic buttercream and then use that to create different flavors? 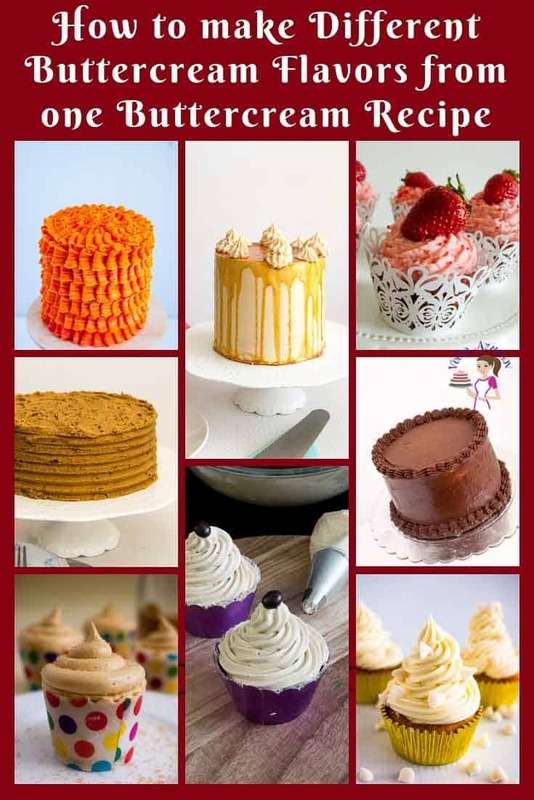 These are the basic buttercream recipes. And yet, often you get asked to make different flavors. 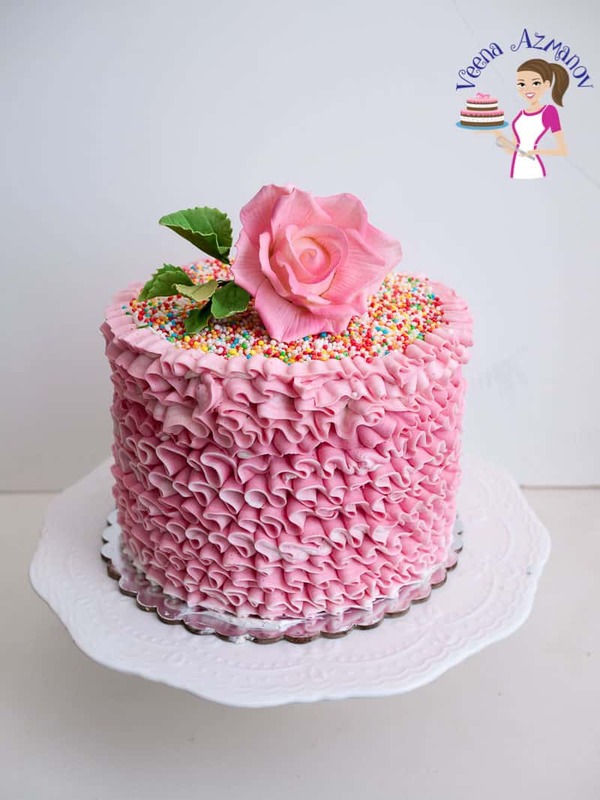 While sometimes you have to start from scratch, often it’s easier to use the basic recipe and create new buttercream flavors. You can use any of the above recipes as your base recipe to create new flavors. 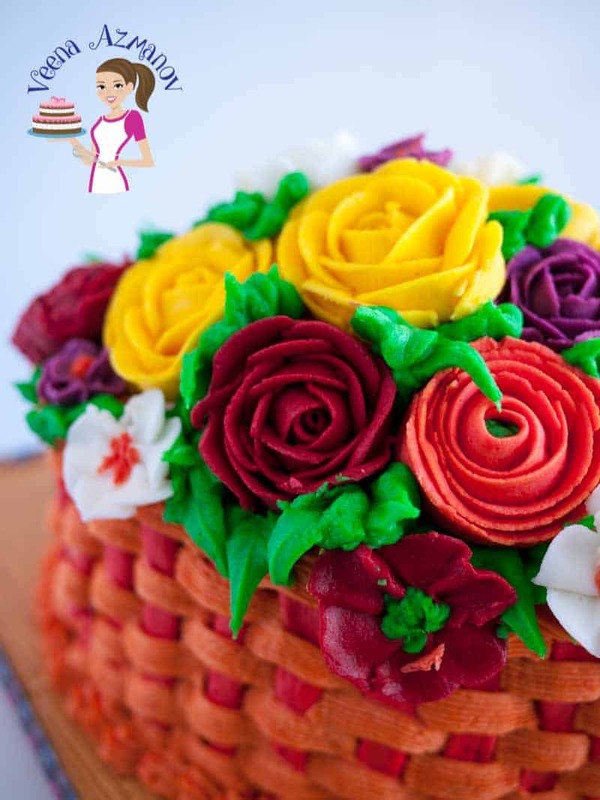 And yet I find that using my Stiff Buttercream Frosting for piping sugar flowers works best as a base to create more flavors. Why? 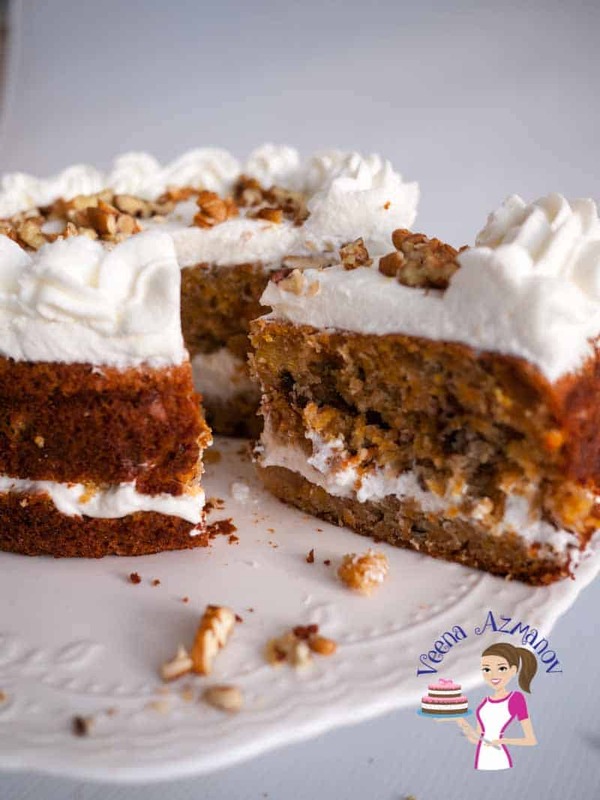 The additional ingredients result in buttercream with the right consistency, and not too soft. So these flavors work with all types of Buttercream. In some cases, the consistency may be soft or even too soft. Also, I often prefer to have a soft consistency meringue buttercream for my cakes. 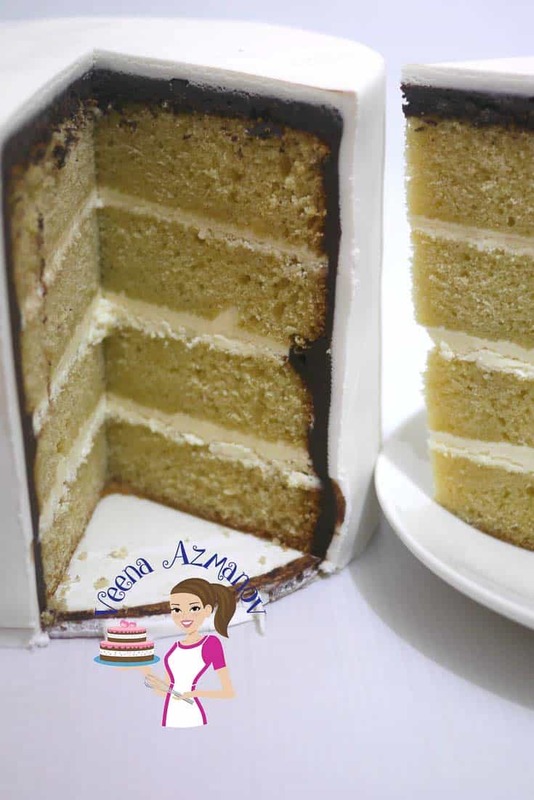 My preferred recipe my stiff buttercream because it works best in terms of consistency. 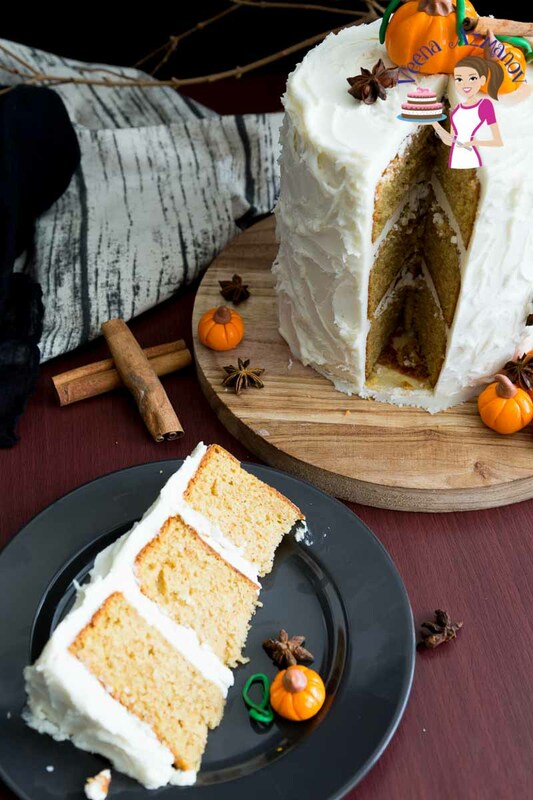 While consistency may vary from other buttercream recipes since it depends on the additional liquid ingredients needed to get the right flavor. 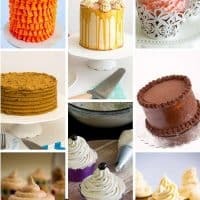 One Buttercream Recipe – Many different flavors aka Different Buttercream flavors from one recipe. Share a picture of your work with me by uploading an image here below my Image on my PIN board. Add melted cooled chocolate to the buttercream. Add melted cool chocolate and espresso to the buttercream. Add caramel to the buttercream. 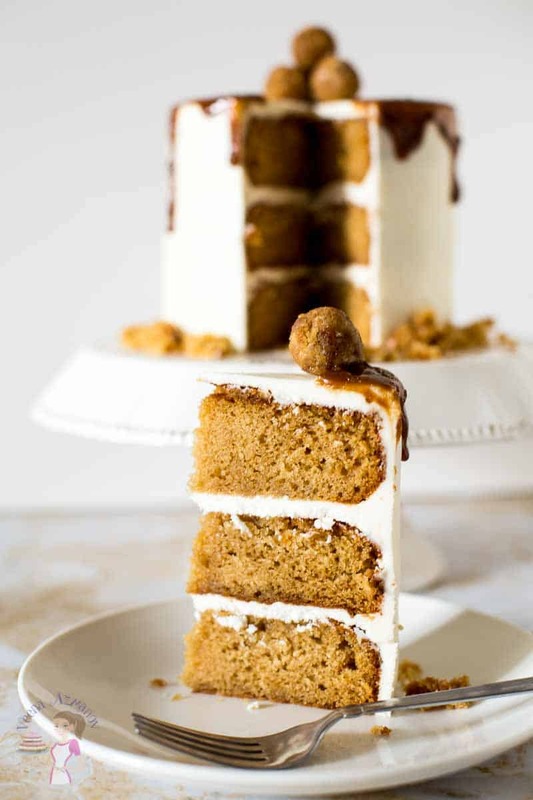 Combine thick caramel to the buttercream - mix well. Sprinkle over the rock salt and barely mix. Add Nutella to the buttercream - stir well. Add lemon juice and zest to the buttercream. Stir in the crushed fruit and extract to the buttercream. 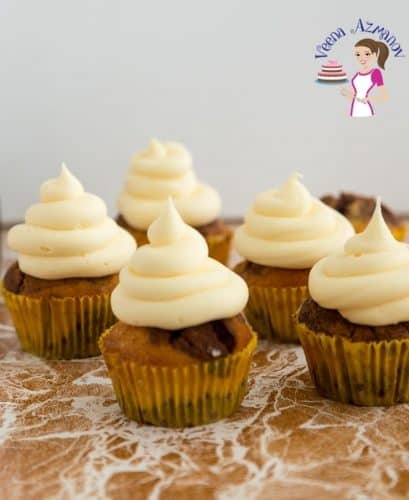 Combine the peanut butter to the buttercream - stir well. Stir in the Baileys or Kahlua to the buttercream. Add a few tbsp. canned MC juice + chopped cherries. 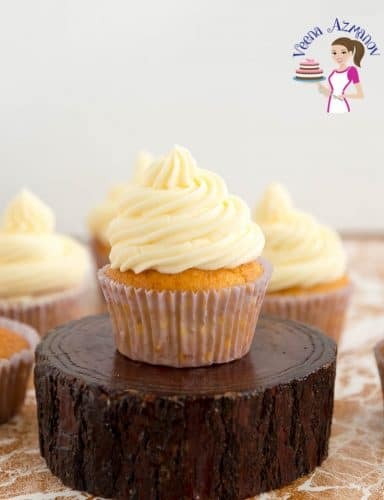 Stir vanilla pastry cream to the stiff buttercream frosting recipe. Add coconut cream to the buttercream. You can add either toasted coconut flakes or toasted desiccated chocolate to add texture. Soften one cup Marzipan with a few drops of water. Add it to the buttercream. I fail at buttercream all the time. It’s the one thing I just cannot seem to master for macaron. I’ll be putting yours to the test, for sure! Especially with all those flavors. Perfect for macaron. Oh.. Christie. I have many step by step and videos that might be just what you need. For both Macarons and Buttercream. You must check them out. Yum! I love all these flavors. I definitely need to try the mocha and the Kahlua buttercream sometime. Thank you Tara. Yes the Kahlua is my favorite too. I have tried a few of these and have loved them all! I can’t wait to try the rest! 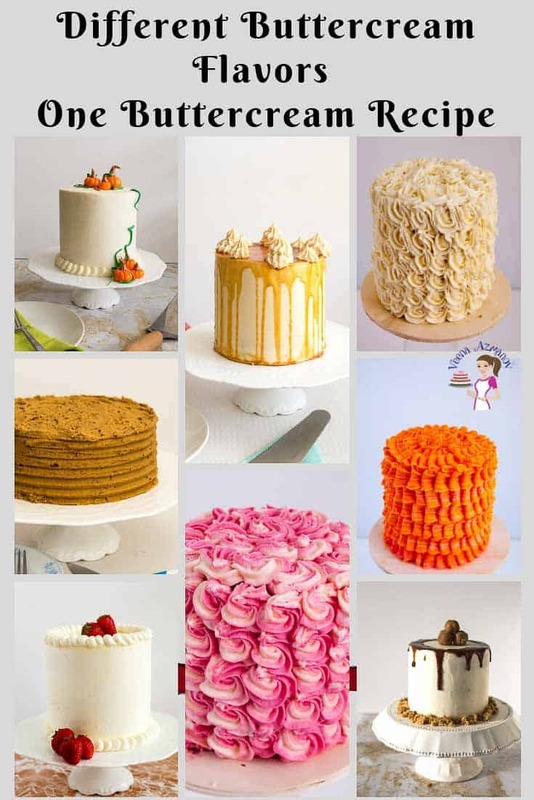 OMG — Veena — I had no idea there were so many styles of buttercream! I want to try them all to determine my favorite — and then I’ll get to the different flavorings. I have some passion fruit simple syrup — and I’m thinking that would be excellent in one of your buttercream recipes. Absolutely Lisa. Make a passion fruit buttercream with it. These are so amazing. Hi. Please forgive me, I am new to all of this. I would like to make lemon flavored buttercream. 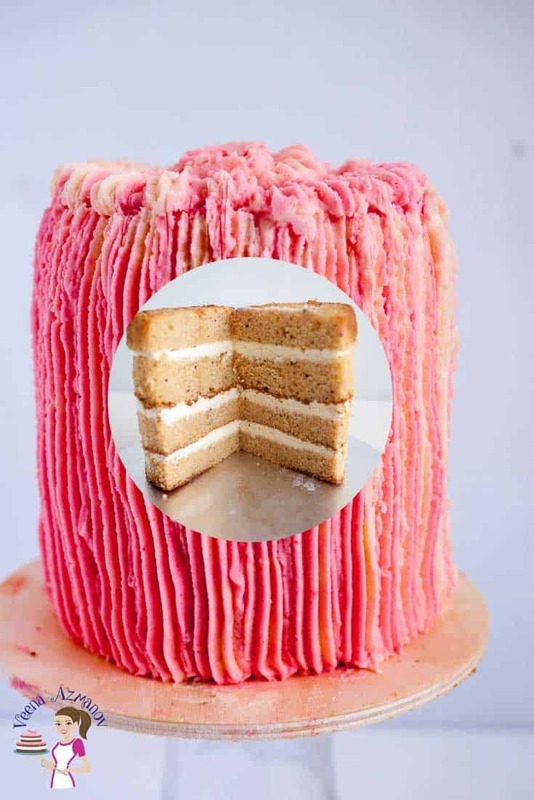 Do I make the original buttercream with the vanilla and almond plus the lemon extras, or replace it with the lemon juice and zest? Thank you. But by replacing some of the liquid in the recipe with Lemon juice. Ideally, 1/4 cup lemon juice is plenty. For a light flavor reduce the lemon. You can always add more later. You can omit the lemon extract as well but it does enhance the flavor. 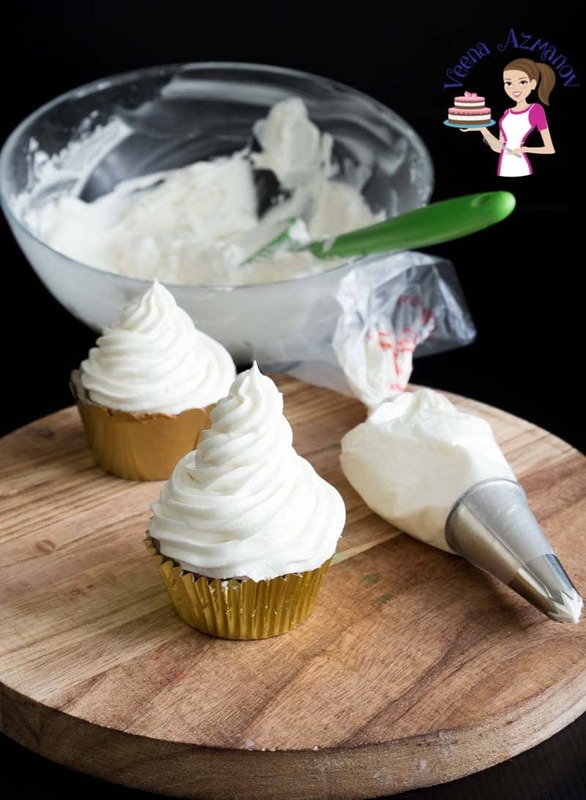 How many cups of swiss meringue buttercream will be needed to frost 30 cupcakes, with a decent size swirl? Also, is one batch, a 6 egg quantity equivalent to 4 cups? Hey Janice. A 6 eggs batch of SMBC will make about 5 to 6 cups frosting depending on how you whip and that should be good for 24 cupcakes. I like to use more frosting on my cupcake so I tend to use more. Hope this helps. 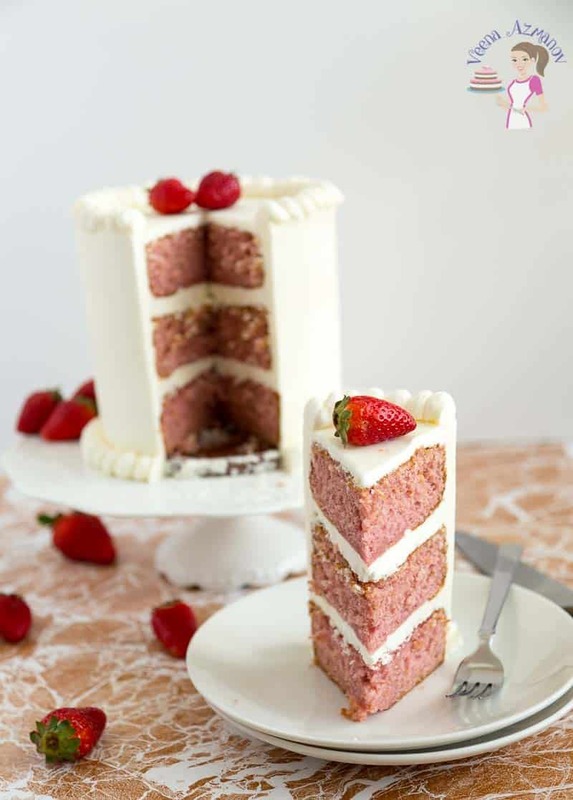 Hello, does the raspberry or strawberry buttercream need to be refrigerated? 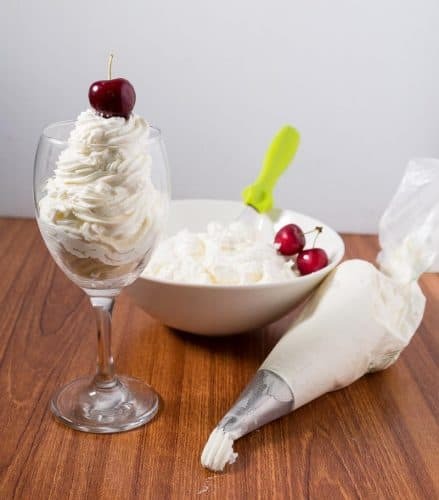 Any time you use fresh fruits in frosting you need to refrigerate it. If you use freezer dry fruit powder you can keep them out depending on the other ingredients of course. I just stumbled on your site. 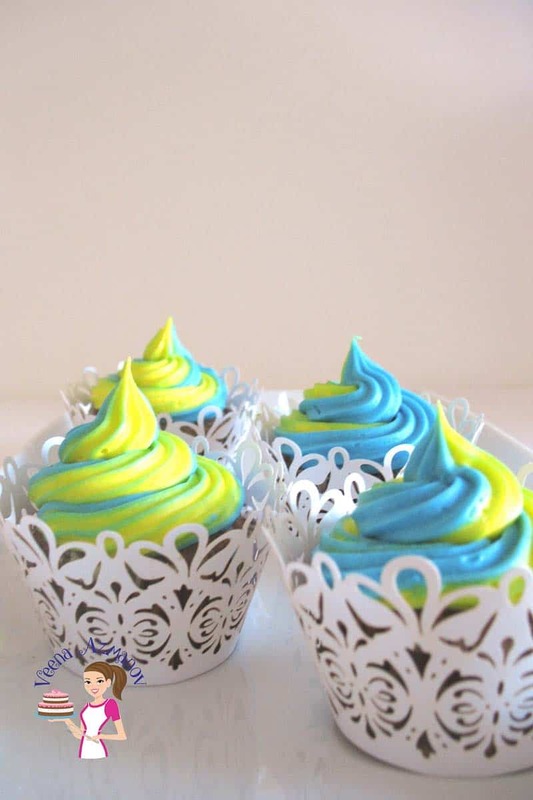 I am making 200 mini cupcakes and need to make black frosting to use for piping decorations on top of the mini cups. I have tried 3 different recipes one using dark and black cocoa and one with melted chocolate. So far the taste isn’t there and the AMC buttercream are gritty. I’m using Americolor Super Black Gel Paste. 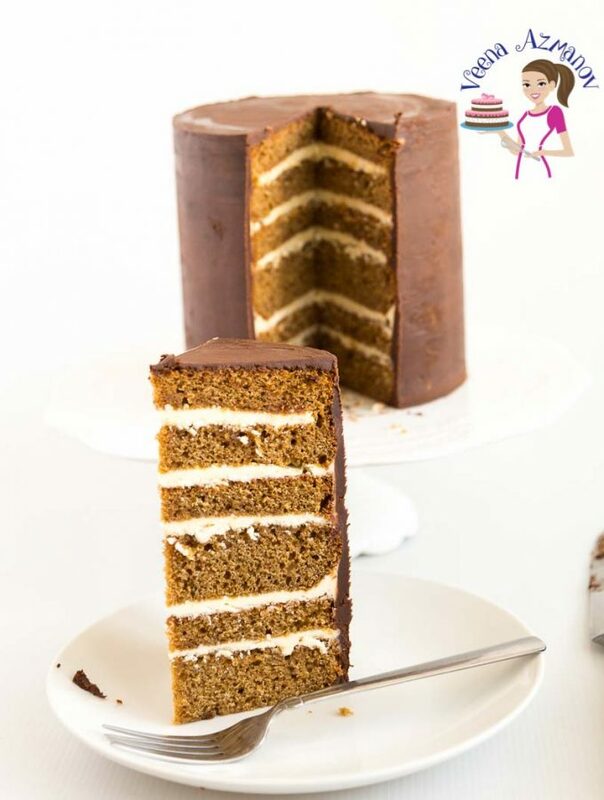 I see a black frosted cake picture but I can’t find a recipe for how you achieved it. Can you please help me with this. I have spent way too much time and money on ingredients. Hi Pam. 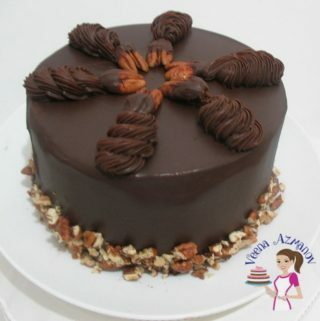 Yes black buttercream can be tricky. The best way I achieve black frosting is I use half dark chocolate ganache and half chocolate buttercream frosting. I make sure my chocolate buttercream is fairly stiff consistency. Then I add black food color. I have to use much less gel color with this method. The other thing I always do is, I make the frosting a few days ahead of time. That way the black color intensifies more. I’m a little lost can you send me step by step on how to make chocolate frosting. 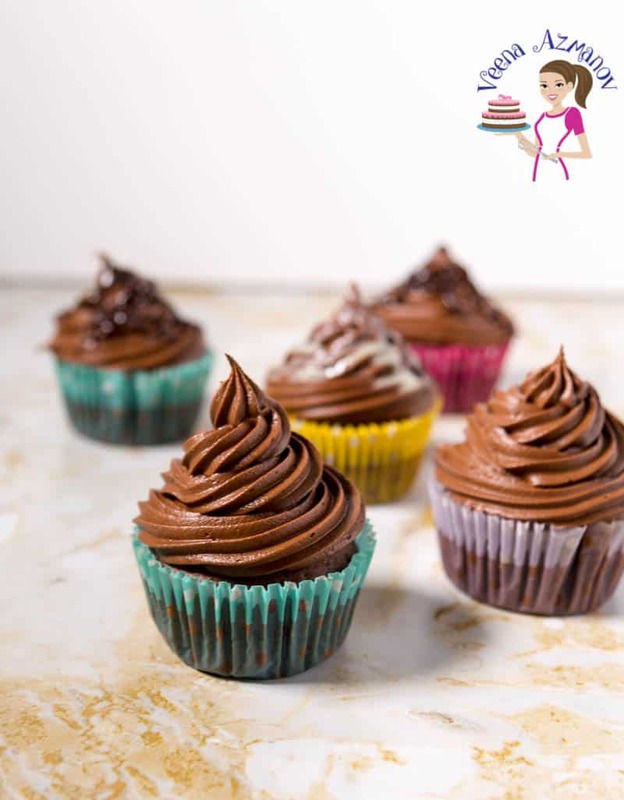 I need to make chocolate butter cream for some cupcakes . 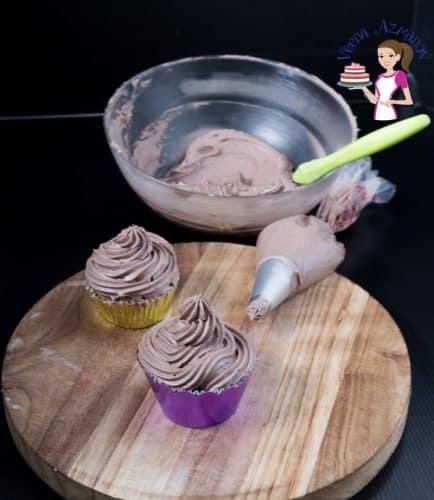 Use my basic Velvet Buttercream Frosting and add melted cooled chocolate to it. NO I use good quality eating chocolate. Thanks. I usually add less liquid in the buttercream and then add the caramel later so it won’t be too soft in consistency. I’d go with 1 cup caramel for every 4 to 5 cups buttercream – more or less. Check the sugar you are using. some brand sugars tend to leave a gritty taste. The liquid helps melt the sugar too.. I am anxious to try your buttercream recipe. Am wondering if the non-dairy creamer adds a taste, so will make a batch. My family are great taste testers. Taste? NO!! Unless you use one that is flavored lol!! thanks, love it, i've learned a lot. You make everthing look so easy. I love trying your recipes they always work for me. Thanks for sharing. I already try your recipes. 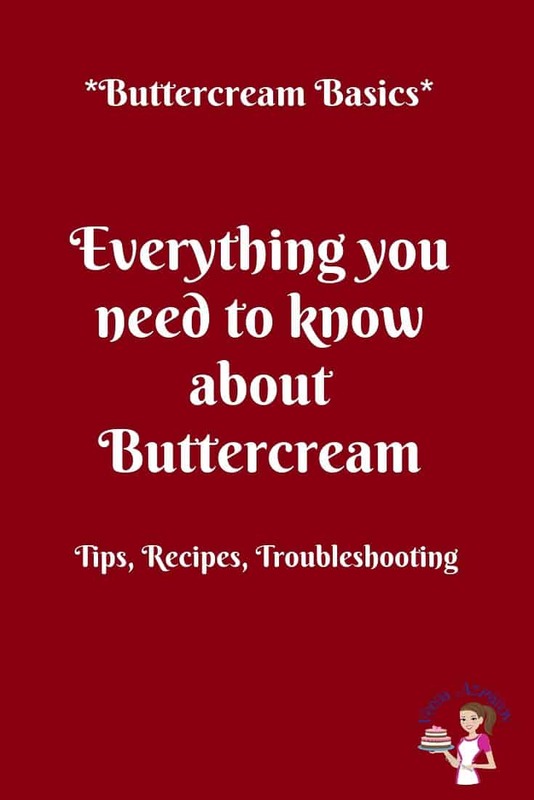 Your buttercream recipe is the best!! Can’t wait to try these flavors. I love your site. It has been extremely helpful. I love trying different buttercreams. 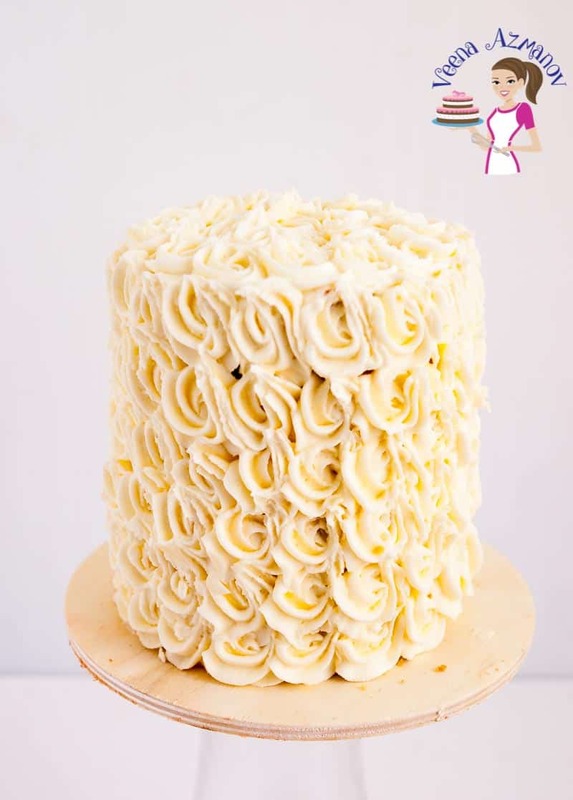 My all time favorite is French buttercream. The process is a bit lengthy, but the end result is well worth it. You have things posted on your site, that I've had to pay for on tutorials, so again, thank you!! 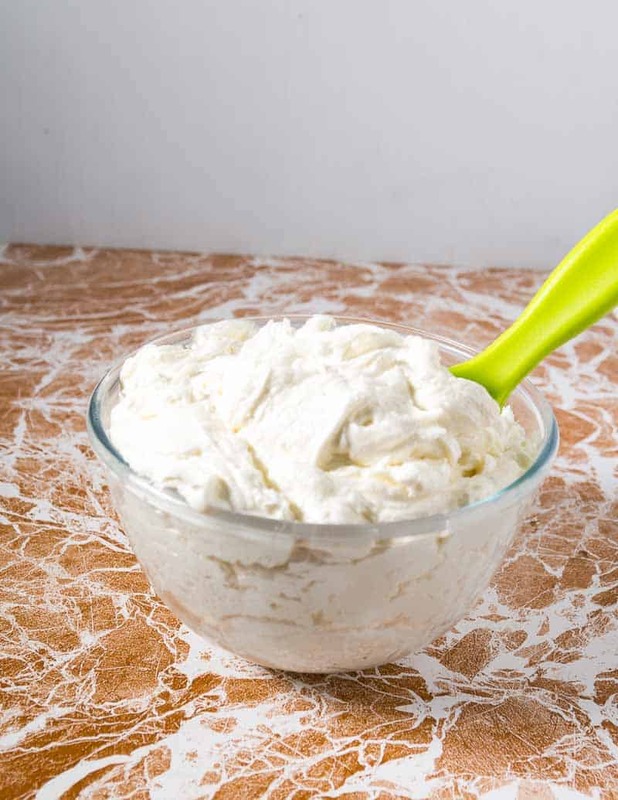 Veena, your buttercream recipe is fantastic. Taste very much like Swiss Meringue Buttercream. My family loved it. Made two cakes this past weekend with your buttercream recipe. Love your tips and all your info your share. Glad I found you..you are awesome! Maravilloso todo lo que acabo de descubrir en esta pagina, felicitaciones!!!!!!!! 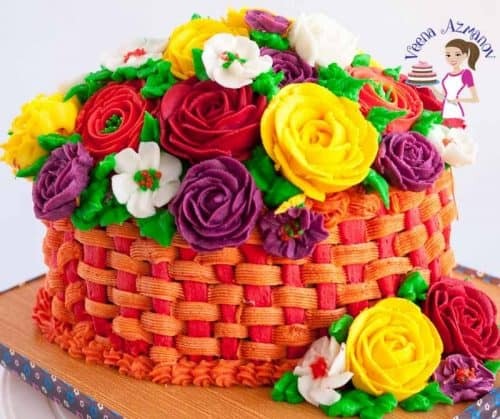 I <3 Veena's Art of Cakes because of her tips every Thursday. 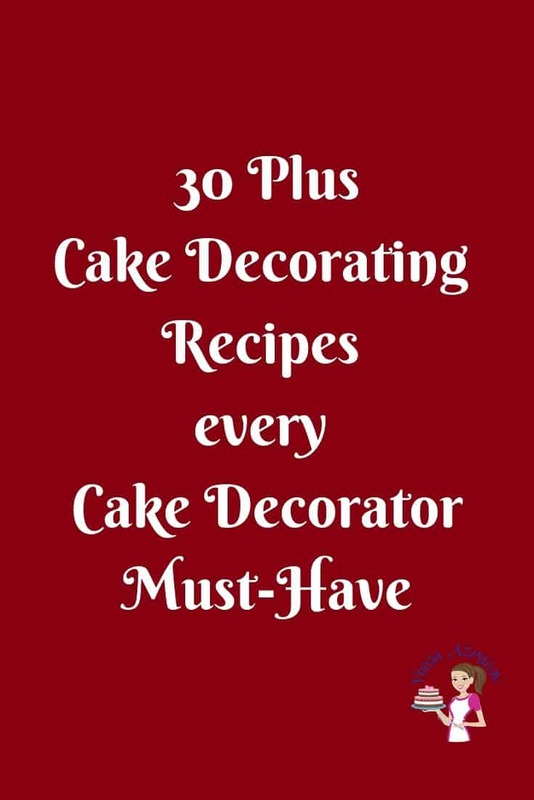 These tips make baking and decorating cakes easier than going though some mistakes that I wouldve made if not for these gems. Thank you for your blog, and for having a facebook page too. You are awesome. Keep leaving your fantastic gifts online for the whole world to see!